The Sikhs, mainly belonging to Punjab, form a sizeable group of our population. The Orthodox Sikhs believe that their religion was revealed by the God to Guru Nanak, whose spirit entered the 2nd and the subsequent gurus and till the 10th Guru. Guru Gobind Singh ordained the Sikhs to treat the Adi Granth, as his successor, elevating it to Guru Granth Sahib. The Sikhs basically believed in a formless God, equality of the mankind, need of a Guru ad the pahul tradition. Sometimes, the gurudom was conferred on the Son and sometimes on the best disciple. The 5th Guru, Guru Arjun Dev, provided the Sikhs, three things- Adi Granth, standardized script for Gurumukhi and the site and the foundation of the Harandir Sahib or the Golden Temple and the Akal Takht at Amritsar. 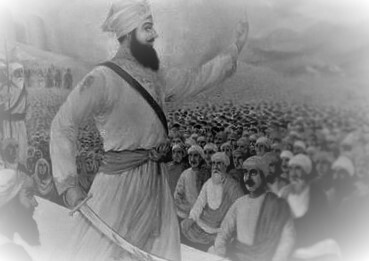 The 10th Guru Gobind Singh created the Khalsa, which mens, the Pure, in 1699. He also ordained the Sikhs to take 5 vows, namely, keeping of kesh, kangha, kada, kirpan, and Kaccha. Consequently, these symbols became the distinguishing marks of a Sikh. He further added that after his death the Adi Granth will be the Guru of the Sikhs and they have to pay obeisance to this holy book. It is a monotheistic religion articulated by the Quran and the teaching and normative examples of Prophet Mohammad (consider as the last prophet of God). With about 1.57 billion followers. Islam is the second largest religion in the world. According to traditional Islamic view, Quran began with revelations to Mohammed when he was 40 years old that is in AD 610. Most Muslims belong to two denominations Shea and Sunni. Islam arrived in India n the AD 8th century with the Arab traders. It is a common term used for Islamic mysticism. The Sufis were very liberal in their religious outlook. They believed in the essential unity of all religions. They preached spirituality through music and doctrines that professed union with God. Sufism originated in Iran and found a congenial atmosphere in India under the Turkish rule. Their sense of piety, tolerance, sympathy, concept of equality and friendly attitude attracted many Hindus, mostly from the lower classes of Islam. Sufi Saints such as Muin-ud-din Chisti, Nizam-ud-din Auliya, Farid-ud-din, Ganj-e-Shakar were the pioneer Sufis who are still loved, respected and honored in India. The Sufis were organized into religious orders or silsilas. These silsilas were named after their funders such as Chishti, Suhrawardi, Quadari and Naqshbandies in order to attain a state of mystical ecstasy, the Sufis listened to poetry and music which were originally in Persian, bur later switched to Hindawi or Hindustani. It is a monotheistic religion based on the life and teaching of Jesus. The Christians believe that Jesus is the son of God and the savior of humanity. The three largest groups of Christianity are roman Catholic Church, eastern orthodox church and the various denominations of Protestantism. With about 2.2 billion adherents, Christianity is the world’s largest religion. The Old Testament and the New Testament are considered as the sacred texts of Christianity. In Christianity, trinity refers to the teaching that God comprises three distinct, eternally co-existing persons that is the father, the son, and the Holy Spirit. Confirmation is a rite of initiation in churches carried out through anointing, the laying on of hands and prayers, for the purpose of best owing the gift of best owing the gift of the holy spirit. Ordination is the process in Christianity by which individuals are set apart as clergy to perform various religious rites and ceremonies. Confession is the practice by which men and women may confess their sins committed after Baptism and to get them absolved by a pope. The Parsi or Zoroastrian religion was founded by Zarathustra or Zoroaster, in the 8th century BC. He preached monotheism in the region now known as Persia. He taught the worship of fire and the presence of good and bad in the form of Ahura Mazda and Angra Mainyu. He also taught the ethical doctrine of kindness and charity. These doctrines are enshrined in the Avesta. It is a monotheistic religion originating in the Hebrew Bible. It is one of the oldest monotheistic religions and spans a period of more than 3000 years. Jewish religious texts consist of Tanakh, works of the Talmudic Era, Midrashic literature, Halakhic literature etc. The basic of Jewish law and tradition is contained in the Torah. Other important texts are Talmud and Tanakh. There are around 13.4 million Jews in the world with around 42% of them in Israel and a similar number in United States. It is a Chinese ethical and philosophical system based on the teachings of Chinese Philosopher Confucius, who lived between 551 and 479 BC. The core belief of Confucianism is humanism, which is the belief that human begins are teachable, improvable and perfectible through personal and communal Endeavour. Confucius taught six books to his followers, namely the Classic of poetry, Book of Documents, Book of Rites, Book of music, I-Ching and spring and Autumn Annals. Ren is one of the basic virtues promoted by Confucianism which means an obligation of altruism and humanness for other individuals within a community. Filial piety is considered as one of the greatest virtues in Confucianism and it must be taught both the living and the dead. It is a philosophical and religious practice which believes in harmonizing oneself with nature. The literal meaning of Tao is way, but it can also read, channel, path doctrine or line. The Key text of Taoism is Tao Te Ching which consists of teachings attributed to Laozi. Other important texts in Taoism are Zhuangzi, Daozang and Mozi. The three treasures or three Jewels of Taoism are basic virtues in Taoism namely. Compassion, moderation and huminity. It is a monotheistic religion founded by Baha’u’llah in 19th century Persia which emphasizes the spiritual unity of all humankind. The core principles of Bahai’s are unity of God, unity of religion and unity of humankind. There are an estimated five to six million Baha’i’s around the world in more than 200 countries and territories. The Baha’i’s believe that religious history has unfolded through a series of divine messengers each of whom established a religion which was suited for the needs and capacities of the people of the time. The key scriptures of Baha’i’s are Kitab-i-Aqdas and Kitab-i-Iqan. It is an indigenous spirituality of Japan. It refers to a set of practices to be carried out diligently so to establish a connection between present day Japan.